LOUISBURG - John Milton May died peacefully on May 31, 2017 at the age of 67. John grew up in the White Level community of Franklin County son of Bertha Nash May and Forest Milton May. John was raised to value hard work and to love for all of God’s people, which he practiced every day until his death. His parents and sister, Jessica May Wallace, preceded John in death. His surviving family members include his wife Vickie Gay May, his sister-in-law Donna Duncan, Brothers-in-law Larry Gay and Dwight ‘Buddy’ Gay, Jr., his daughters Amanda Maynard (Matt Maynard), LeeAnne May, son Michael Turner, his grandchildren Victoria Turner, Jordan Turner, Makayla Fuzi, Matthew Turner, Myra Turner, Nastya Puskar, William Maynard and great grandchildren Briley Carrillo, Hayden Williams, Hayden Wall and many other family members and friends. John’s life was dedicated to the service of others and his community. Following graduation from Edward Best High School John went to work but when his country called he joined the U.S. Army serving overseas for several years. When he returned home, John went to work for Southern Bell where he met the love of his life – Vickie Gay. While working for the phone company John saw the need to stand up for the men and women he worked alongside. Never afraid to be a champion for what is right, John joined the Communication Workers of America Local 3611 in Raleigh. He spent over a decade as a lobbyist for NC CWA Council working advocating for workers’ rights and safety. He served on multiple executive board positions with local 3611. In 1992 John was appointed to the NC Advisory Council on Occupational Safety and Health (under Department of Labor). John was also dedicated to his beloved Franklin County. He was a member of the Franklin County Farm Bureau Federation, an advocacy organization for farmers and ranchers, for 40 years and a member of American Legion Post 105, Louisburg. He served on the Franklin County Planning Board, the Juvenile Crime Prevention Council, the Board of Directors for the White Level Fire Department, the Franklin County Department of Social Services Board and was a founding member of the Franklin County United Way. John was a strong believer in education and public schools. 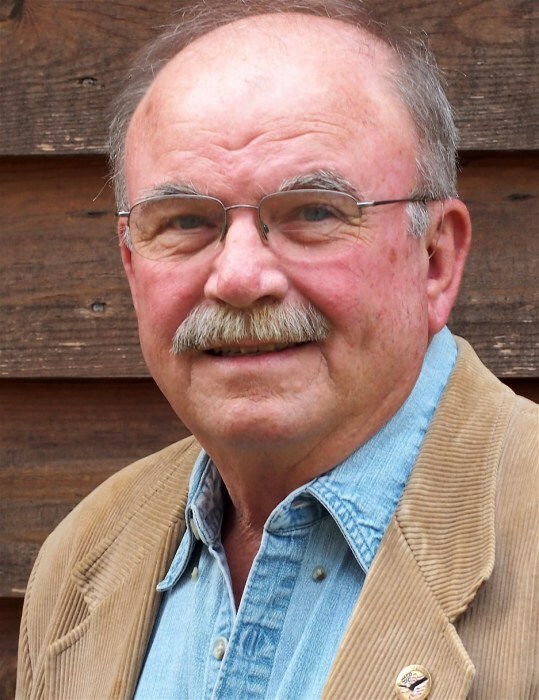 He was elected and served on the Franklin County Board of Education for eight years. He left the board in 2010 to serve in the North Carolina House of Representatives. At the time of his death John was serving as the elected County Commissioner for Franklin County’s District 3. John was awarded The Order of the Long Leaf Pine – the highest honor for recognition of service to the State of North Carolina in 2017. A memorial service will be held on Sunday, June 4, 2017 at 4:00 p.m. at the Seby B. Jones Performing Arts Center at Louisburg College, 501 North Main Street, Louisburg, North Carolina. The family will receive friends immediately following the service. In lieu of flowers memorials may be made to the Franklin County United Way, P.O. Box 342 Louisburg, NC 27549 or the White Level Volunteer Fire Department, 2465 White Level Rd. Louisburg, NC 27549. Services provided by Strickland Funeral Home & Crematory, Louisburg, www.stricklandfuneralhome.net.